Commuting between centres and edges, between cities and countrysides, and between worlds is increasingly normal, necessary even. A commute or regular journey of some distance to and from one's workplace is something many of us engage in on a daily basis. A commute as a multidirectional trip not only takes one to work but also leads one home and to places of learning and social/political connection. If we take this as fact, then we understand commuting as comprising of two key factors, place and travel. Through networks of migration, trade, and exchange engendered in both deep time and every day, place and travel become integral to contemporary Indigenous experience. Perhaps we can understand migration, trade, and exchange as forms of commuting, and understand ourselves as commuting cultures. Furthermore, if we are to understand ourselves as commuting cultures then, commuting also requires vigilance of the forces driving our understanding of place and movement such as displacement, diaspora and ecological devastation across various territories. Drawing from the experiences of commuting cultures and initiated as a visiting curatorship at the Institute of Modern Art (IMA) in Brisbane, curatorial collective Transits and Returns present The Commute. The Commute encompasses a series of commissioned projects by artists located around the Great Ocean, also known as the Pacific Rim, that assert complex, wide-ranging, contemporary Indigenous experiences inclusive of both ancestral knowledges and global connections. On a basic level, commuting describes the way in which the mostly international group of Indigenous Visiting Curators are working with the IMA, the exhibiting artists and pockets of the local community. But, in a greater sense, it also encapsulates the mobile yet located nature of being Indigenous today. Rather than attempting to package such diverse experiences neatly within a conceptual framework, The Commute explores the mess, the entanglements and the disparities of contemporary Indigenous experiences. The Commute has received financial assistance from Australia Council for the Arts, Queensland Government through Arts Queensland in partnership with Brisbane City Council, Creative New Zealand and Canada Council for the Arts. 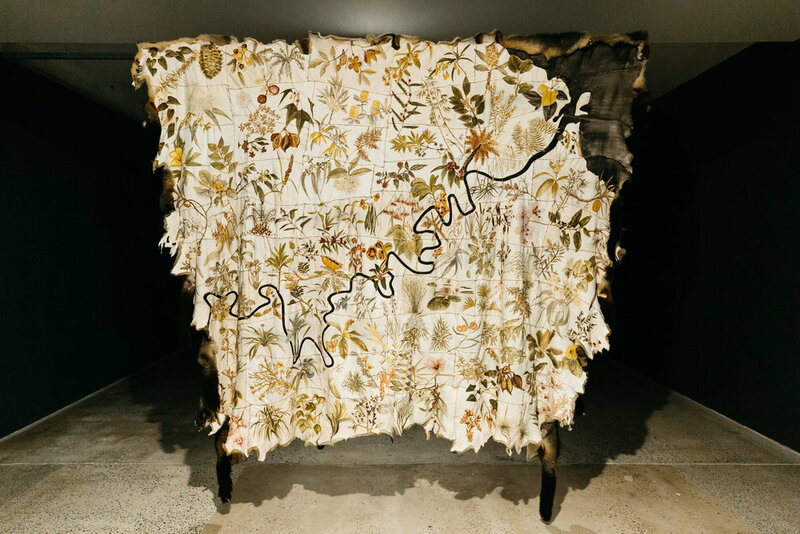 Skin Country is an oversized possum skin cloak —made from possum skins ethically sourced from New Zealand—featuring an integrated map of the native plants used across Greater Brisbane Aboriginal communities. McGregor has collaborated with Traditional Owners, Brisbane Elders and community members to collectively share stories and plant uses. The Illustrations burnt and painted with ochres onto the cloak highlight traditional wisdom, plant diversity and Country. Carol McGregor gratefully thanks Traditional Owners from which the cloak’s material comes, especially the Turrbal, Yuggara, Quandamooka, Jinibara, Yugambeh and Gubbi Gubbi/Kabi Kabi peoples of South-East Queensland. She also thanks, Uncle Bruce Pascoe, Uncle Joe Kirk, Uncle Bob Anderson, Uncle Nurdon Serico, Derek Sandy, Judy Watson, Dr Ray Kerkhove, Caitlin Franzman, Balaangala Community Group, Griffith University and community members for their sharing of knowledge and gifts of ochre. 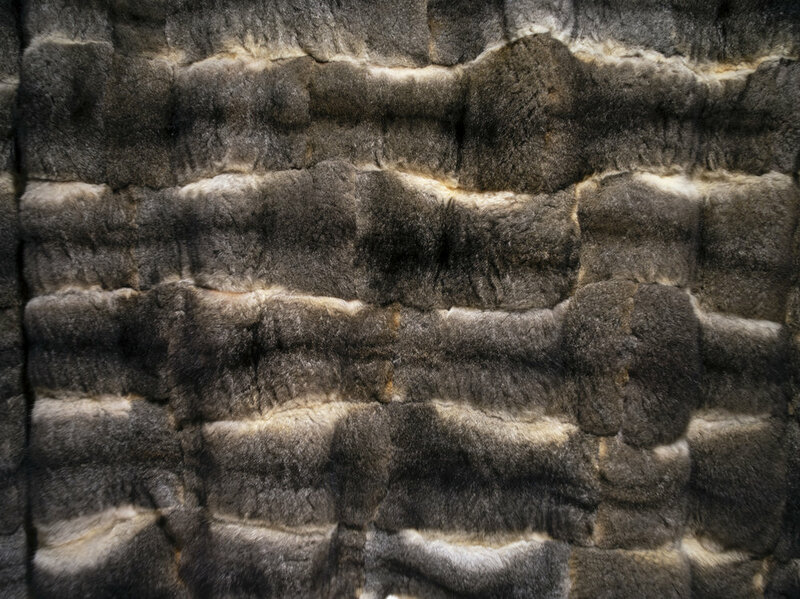 Carol McGregor works across multi-media disciplines with materials including ephemeral natural fibres, metal, and paper. Her recent art practice revives the traditional possum skin cloak as an art form and a way to strengthen community and individual identities. Since the illegal overthrow of the Hawaiian Kingdom in 1893 there has been unending encroachment upon Kanaka Maoli. The ongoing struggles over the sacred mountain Mauna Kea highlights a tension between Western science, Hawaiian sciences and ʻike or knowledges. Kanaka Maoli land protectors are often framed as anti-science, which is ironic given the astrological focus of ʻike. As a long-distance supporter of Mauna Kea, Rands uses art to highlight the lack of Indigenous autonomy over such sacred spaces. With a look to the future Lift Off pays homage to the ʻĀina warriors standing strong on the mountain. Rands collaborated with a number of people for this project including Kumu Hula Auliʻi Mitchell who created the ipu beat; Audio Technician Nikolai Mahina and Animation Consultant Fred K Tschepp. Ahilapalapa Rands uses performance, video and storytelling to explore and articulate intersections of Indigenous experience. 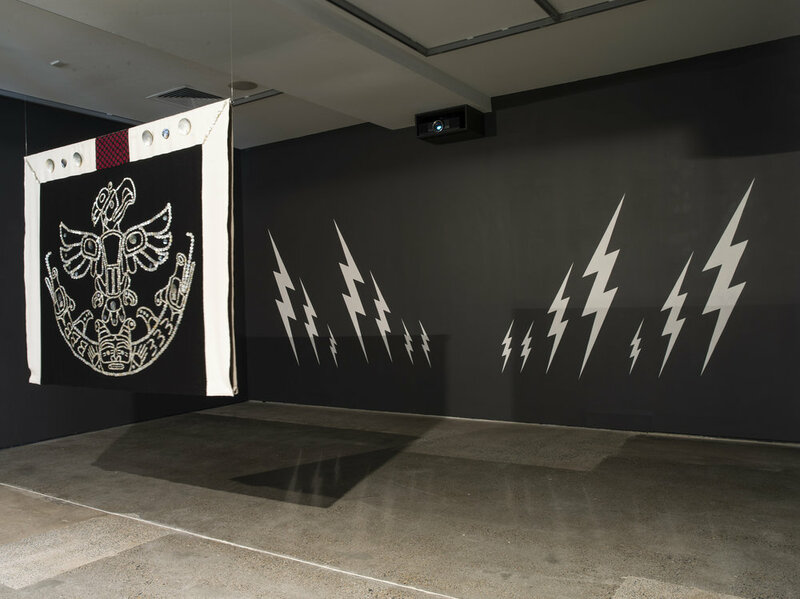 Much of her work reflects and shifts around processes of reconnection to her cultures, weaving contemporary with historical Indigenous knowledge. The crest figure depicted on this button blanket belongs to the Hanuse family of the Wuikinuxv Nation, located in River’s Inlet, British Columbia. Kvulus is a transformer and becomes human when their feathers get too hot on their skin. They carry an egg on their head to signify the family’s responsibility to look out for others. Bracken Hanuse Corlett designed the crest, which also features Sisiutl, the double-headed sea serpent, at the request of his uncle Dennis Hanuse. As the artist explains, “Much of our old work and regalia was destroyed or taken and our crest was lost from memory. I have been researching, studying, staring into space, erasing, crossing out, and cutting and pasting to bring this crest back to our family.” The artist had conversations with his uncle who holds knowledge of Wuikinuxv culture, language and protocols, and his aunt Rose Hanuse, who stitched this blanket as she does for many of the family’s ceremonies. The interior of the qvùtix also operates as a projection screen, enlivening the blanket as it would be when adorning its wearer. Bracken Hanuse Corlett is a multimedia artist who has studied Northwest Coast art, carving and design with acclaimed Heiltsuk artists Bradley Hunt and his sons Shawn Hunt and Dean Hunt. He has received recent public art commissions from the City of Vancouver and the Vancouver Mural Festival and is a recipient of the BC Creative Achievement Award for First Nations Art. He is the co-founder of the Vancouver Indigenous Media Arts Festival and has performed across Canada as a member of the audio-visual collectives, Skookum Sound System and the SEE Monsters. 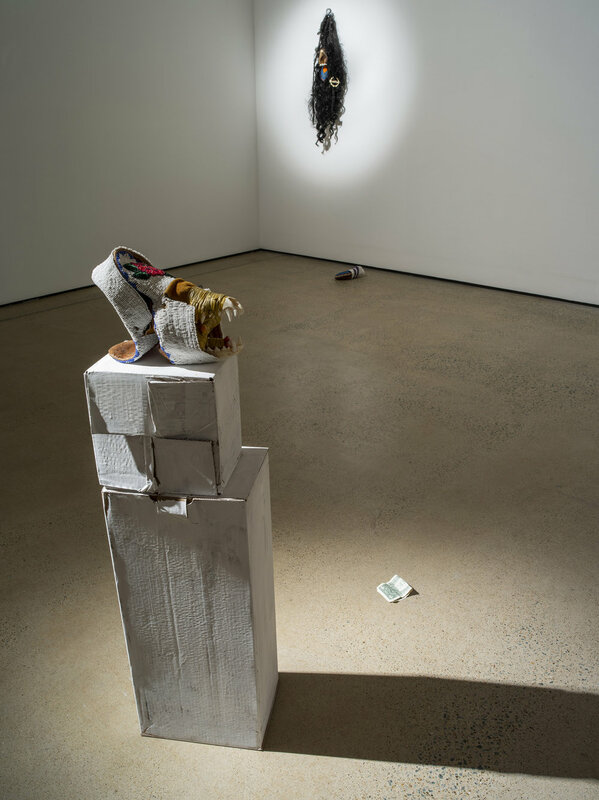 Standing stoically and absurdly within the gallery space, Chantal Fraser’s The Way, is foreign, limp and context-less. 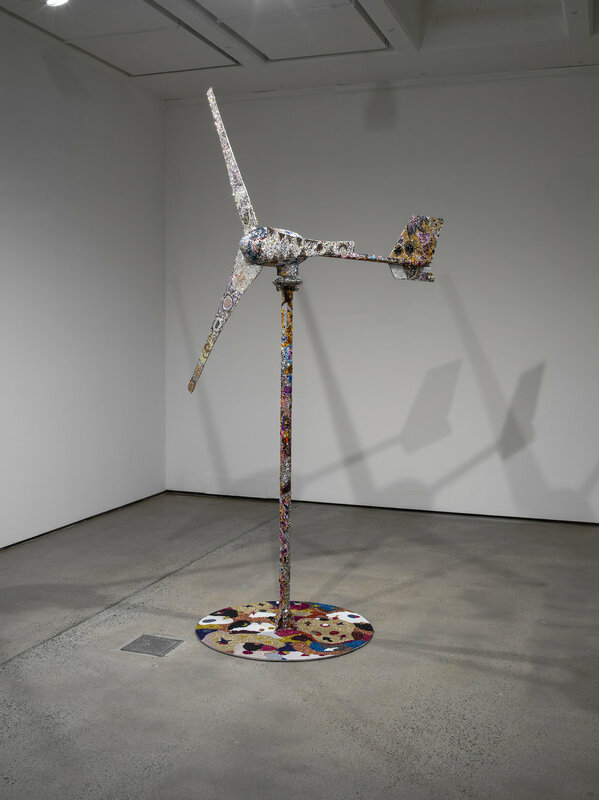 Having been transplanted from its natural environment, the wind turbine’s functionality is limited highlighting the often-one-sided transaction between global Indigenous artists, knowledges, epistemologies and the art world. Acutely aware of the cultural capital that both the wind turbine and the global Indigenous artist possess The Way comments on how emotionally, intellectually and culturally draining it is for the global Indigenous artist in the Western gallery. Chantal Fraser is interested in the binary and ternary connotations of adornment and silhouette when presented in varying artistic contexts. Her work questions reader relevance by subverting the perpetual cultural and anthropological interpretations of the objects made. 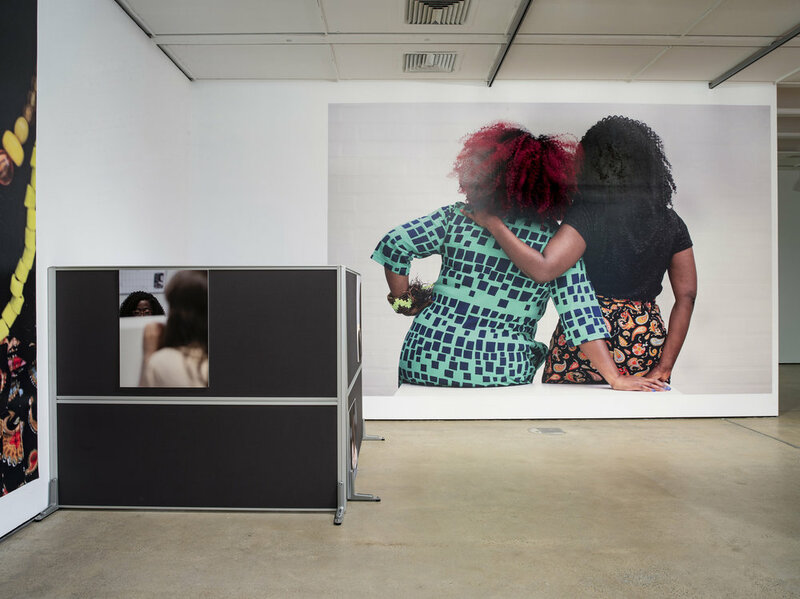 Sisterhood Lifeline assembles a typical open-plan work environment in the gallery; large wallpapers feature First Nations vavine in Western cultural institutions that impede and restrict their advancement. 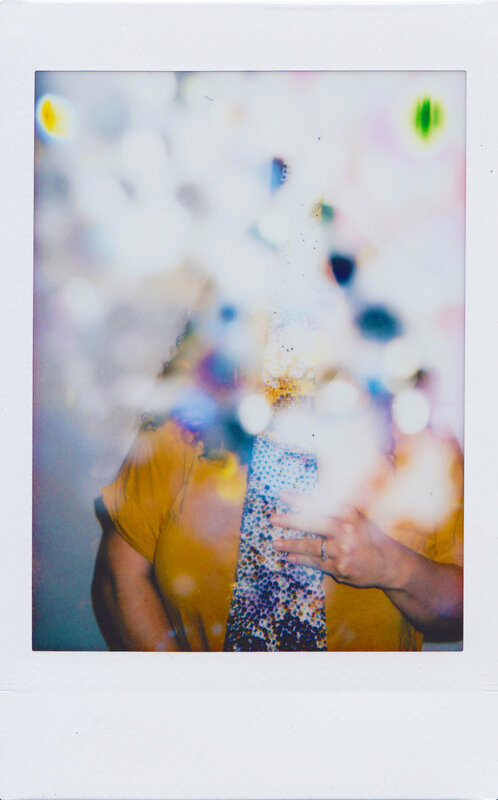 Hear from vavine who speak to, and reenact real-life situations in the workplace that reveal the in/visibility of their bodies, voices and agency. 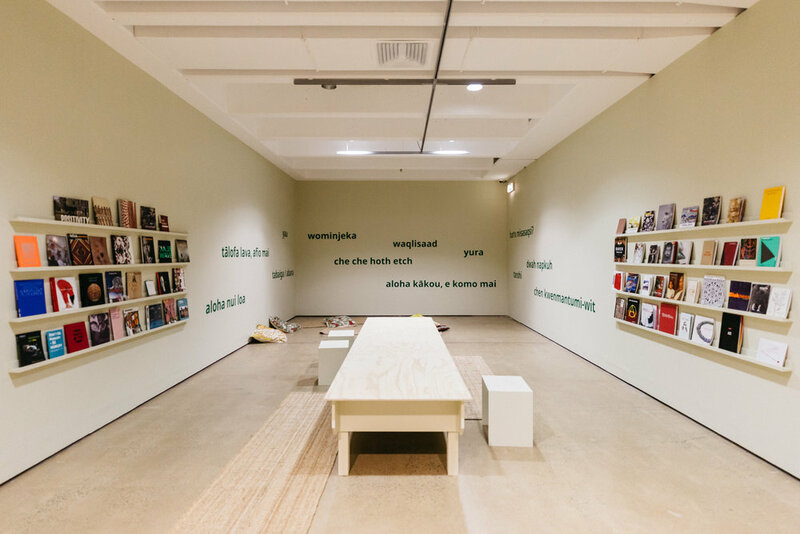 Like the visible and lived structures of an office, this body of work critically engages with Indigenous power and presence in Eurocentric museums and galleries, associations and companies, to present vavine holding space and making way for their communities. The term sisterhood lifeline comes from broadcaster and writer Areej Nur. The vavine featured are Namila Benson, Shantel Wetherall, and Kate Golding. Embodying ancestral wisdom, the Sisterhood expands beyond Western duality of gender. This work invites you to write and share your experiences or words of affirmation for the Sisterhood on the Post-It notes provided in all anonymity, in the hope of bringing colour to sterile spaces. Iauro! 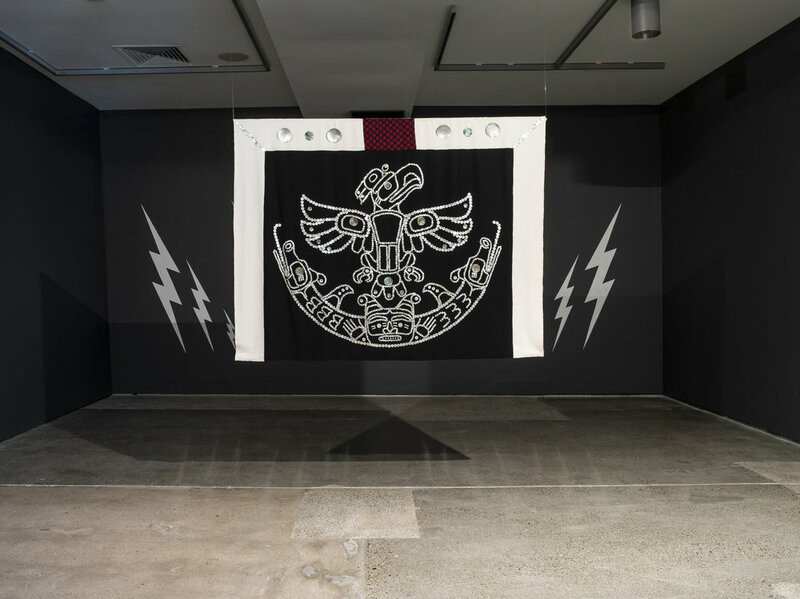 Lisa Hilli (Gunantuna) prioritises Indigenous knowledge and matrilineal systems to subvert colonial and Western histories contained within ethnographic and archival material. 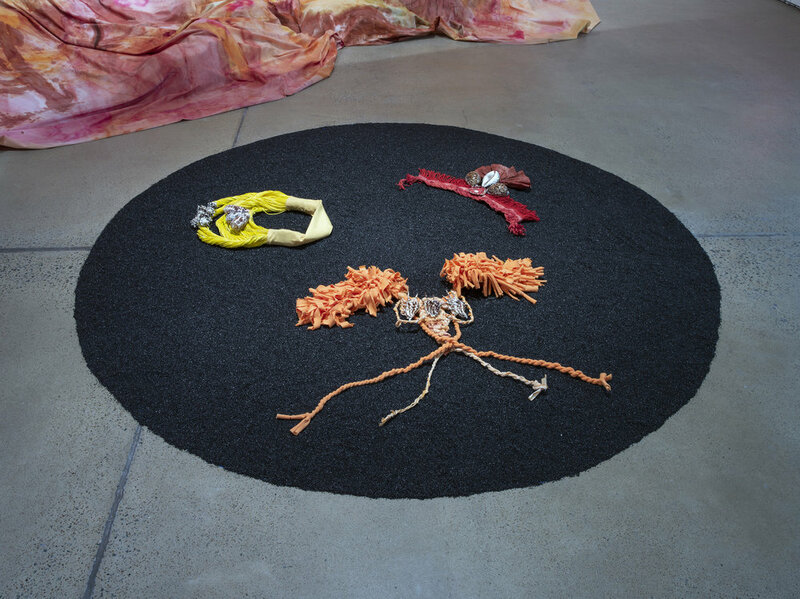 The representation of the black female body and the politics of hair are ongoing themes that the artist explores through photographic and textile practices. FUTCHA ANCIENT creates a dreamscape world that invites audiences to reimagine their environment as fearless and divine. 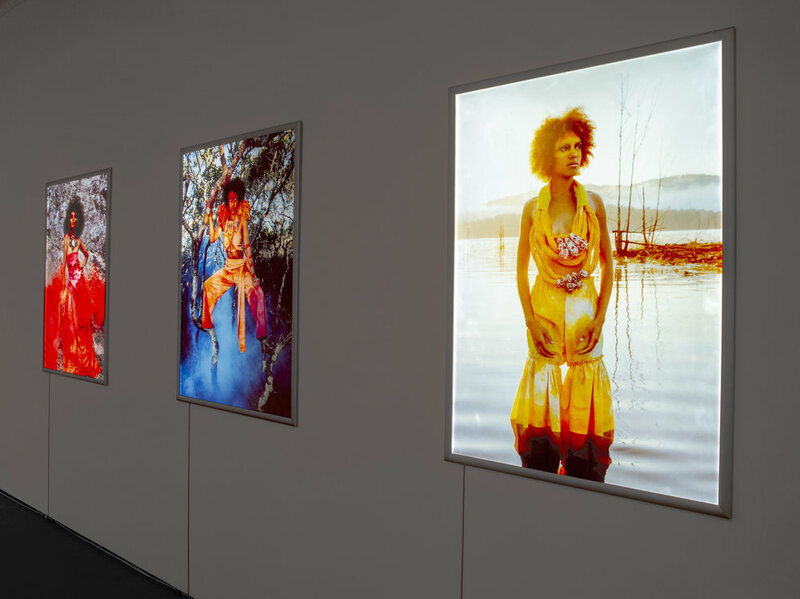 The cross-media installation employs triptych portraiture as portals to an imagined alternate universe. The featured women are photographed in planetary landscapes that are inhabited by visions of the ‘Futcha Ancient' — whom embody knowledge of the past, present and future. Each ‘Futcha Ancient' is armoured with textiles that symbolise powerful femininity through envisioning a code of dress for future female regalia. The vibrant large scale textile is inspired by natural pigments, the beauty of the natural world and colours of the internal body. The deep references to the land and physical body are metaphoric of the relationships between Mother Earth and the female body - both resilient, nurturing, protective and holding our futures. 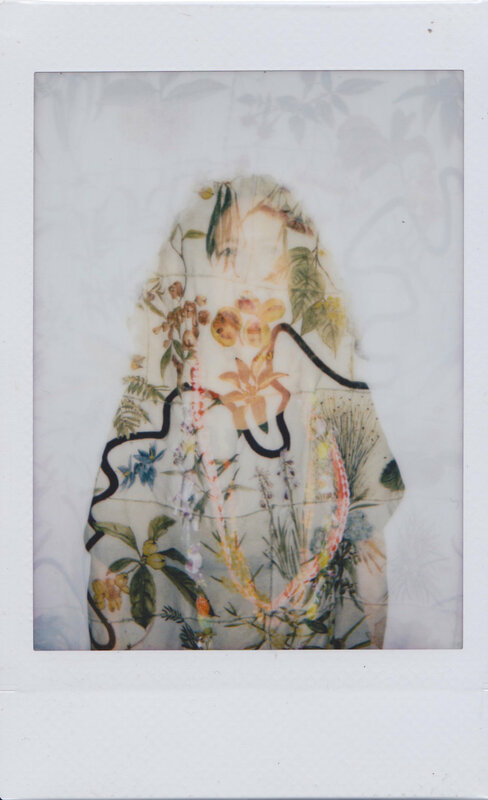 Hannah Brontë is an artist and DJ whose practice focuses on developing female and Indigenous empowerment. Influenced by her love for rap and the power of spoken word, she explores language in popular culture, hip-hop, and slang. Settler-colonialism is a disordering of our worlds, where outsiders with short memory make legal “determination that native title does not exist in relation to any part of the land or waters”  while not knowing the names of their own relatives. A redirection, grounded in materiality and gesture, Ball’s work articulates routes of removal and return as easily as that to which we are eternally entwined, and inseparable. Milk glass on elk hide, sinew, hair, shells, green paper and teeth become a constellation, marking distance between generations, a moment, or story, refusing to be knowable in fixed perspectives, existing as a multi-faceted and self-defined whole, marking relation, space, and responsibility. Natalie Ball (Modoc, Klamath, Black) makes art as proposals of refusal, without absolutes, to complicate an easily affirmed and consumed narrative and identity. 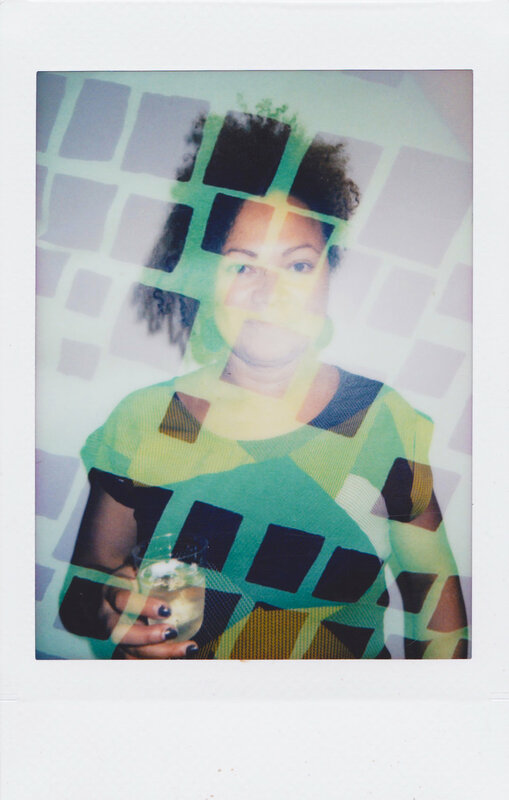 Her work uses materiality and gesture to create power objects that refuse the spectacle in relation to American history of settler colonialism, and her communities. The weaving and video installed here accompany an apothecary and virtual reality piece located in the adjacent reading room. These works connect the lands and waters of Coast Salish and Kanaka Maoli territories, drawing upon the artist’s familial and ancestral migrations between these places. 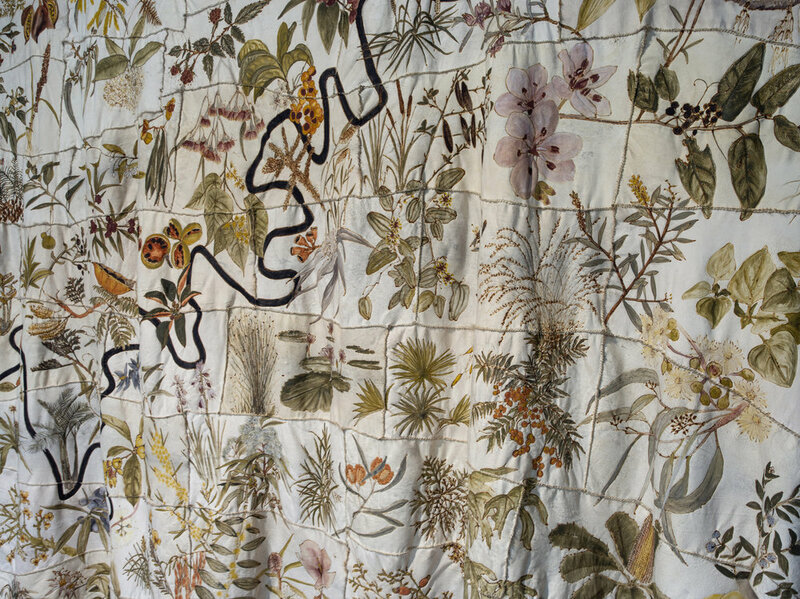 Plant materials gathered between Squamish territory, on the northeastern shores of the Great Ocean, as well as the islands of Hawai’i, are woven together to create a ceremonial cape honouring ocean-going travellers. The video, which can also be experienced via the VR headset, depicts another ocean going traveller, honu—the green sea turtle—resting on a leeward beach of Oahu. Honu is joined by Wyss’ mentor, Happy Pahia, a Kahuna Elder from Hawai’i. The apothecary and VR works installed here accompany the video and weaving located in the adjacent gallery. 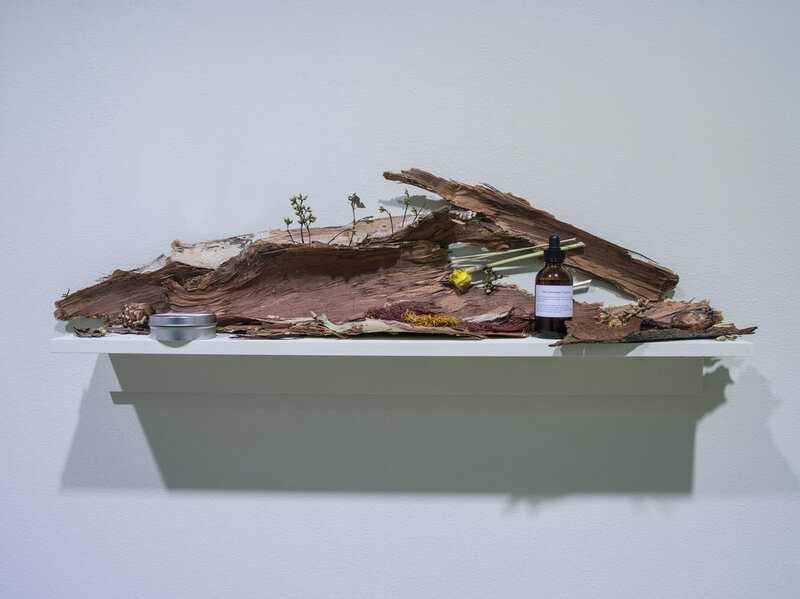 These works connect the lands and waters of Coast Salish, Kanaka Maoli, Turrbal and Yaggera territories, drawing upon Wyss’ practice as an ethnobotanist and media artist. For the artist, “ethnobotany and media art always worked side by side and are intertwined in beautiful ways. They both address natural world stories, beliefs and ideologies. In ethnobotany, you look at how plants are used for foods, medicines or utilities, and how they grow and can be collected. All of that work in collecting is a very similar process to collecting our stories, where we have to go out and work from the ground up to get our stories and inspirations for what we create. However we tell our stories, there is always that connection.” K'axwch'k Nexw7y̓ay̓ulh (Turtle Journeys) is set on a leeward beach of Oahu and pictures Happy Pahia, a Kahuna Elder from Hawai’i laying alongside honu, the green sea turtle, while Nexwníw̓ Tkwi Sxwí7shen(Teachings from the Deer) transports the user to the Stawamus River in British Columbia where Wyss is joined by her mentor Tsawaysia Spukwus and a friend, Meagan Innes. Guided by these mentors as well as Goothala (Danny Doyle), a traditional owner of these lands, Wyss also created an apothecary of healing salves and tinctures. 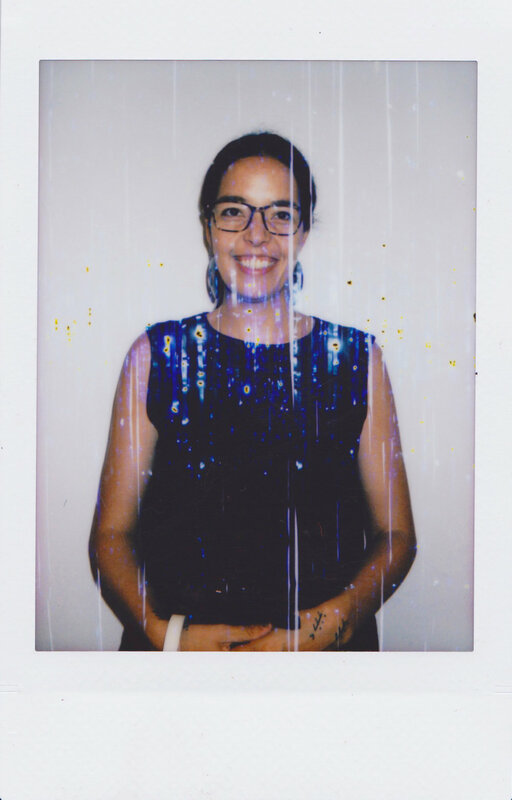 T’uy’t’tanat-Cease Wyss (Sḵwx̱ wú7mesh, Stó:lō, Irish, Métis, Kanaka Maoli, Swiss) is an interdisciplinary artist whose work in new media, performance and community engaged projects spans over twenty-five years. Her work focuses on sustainability, Coast Salish cultural elements, ethnobotany, and digital media. Wyss is an emerging weaver, working with traditional techniques in wool and cedar.